New members will complete an online application form. Pro-rated fees are available to first time members based on the number of months left in the membership year. Our membership year is April 1 – March 31 to coincide with our fiscal year. Members are asked to submit payment (by cheque, cash or online) for the approved membership fee, along with updated contact information, by March 31st of each year. Is there a membership subsidy? We do provide a subsidized membership fee for organizations that meet our criteria but cannot afford our annual fee. This one-time membership subsidy will be 50% of the fee for the first year of membership. The organization must provide additional information that reflects that the annual fee is an onerous financial burden. How do we rejoin after we cancelled our membership? 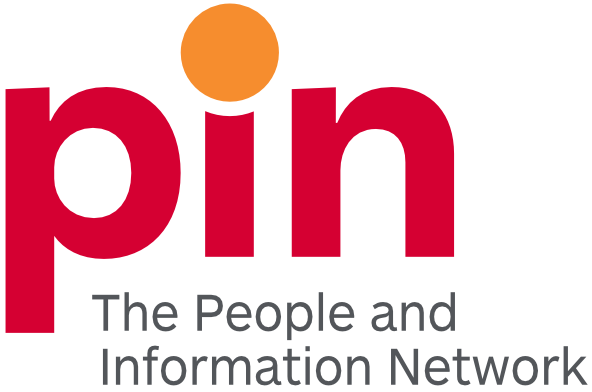 Organizations can rejoin the People and Information Network (PIN) at any time. Please contact Membership Services to rejoin at 519-822-0912 ext 229. The full Agency Membership cost of $196 or Affiliate Membership cost of $96 will be invoiced unless the organization has not been a member for more than 2 years, in which case the prorated membership fees will be applied. What is the Best Practices in Volunteer Screening Program? The People and Information Network (PIN), Guelph Police Service and the City of Guelph have worked in partnership to find a way to defer costs associated with Police Records Checks (PRCs) for volunteers. The program allows volunteers to obtain free PRCs if they are working with vulnerable individuals (i.e. minors, children, seniors and persons with disabilities). How does the Best Practices in Volunteer Screening Program work? People and Information Network (PIN) staff will work with member organizations in Guelph to ensure appropriate volunteer screening policies and procedures are in place, volunteer position descriptions are well defined and indicate the necessity for a PRC. An authorization number for approved volunteer positions will be provided after a successful application has been made. The Guelph Police Service will not charge any fees for conducting the PRC when an authorization number is presented. Read our FACT sheet to find out more details on the complete process. How long will it take to get an authorization number for approved positions? The length of time to complete the process will depend on the quality and comprehensiveness of the application. Organizations that have solid volunteer screening policies and procedures, and who have well defined and comprehensive position descriptions, will complete the process more swiftly. Organizations that need support and feedback on these documents may require more time to complete the process. How do I post a new opportunity to the volunteer database? Posting a new opportunity to the Volunteer Database is easy with the help of our handy Volunteer Database Tip Sheet. Submit the information about the volunteer opportunity into the appropriate fields, make sure to select a ‘display until’ date and submit. New opportunities are posted once a week to the database. I cannot find my volunteer opportunities on the database – help! We store expired volunteer opportunities in the database. They are available upon request. Details on how to update your record will be sent via email. Can I take part in professional development opportunities if I am not a People and Information Network (PIN) member? Yes – you are welcome to join our professional development opportunities! Registration for our communities of practice, like the Volunteer Managers Network and ED Peer Group, are open to members and non-members. Training opportunities through the Waterloo-Wellington Learning Alliance have a separate fee for non-member participants.